"A charming British colonial fantasy which should leave audiences squirming." 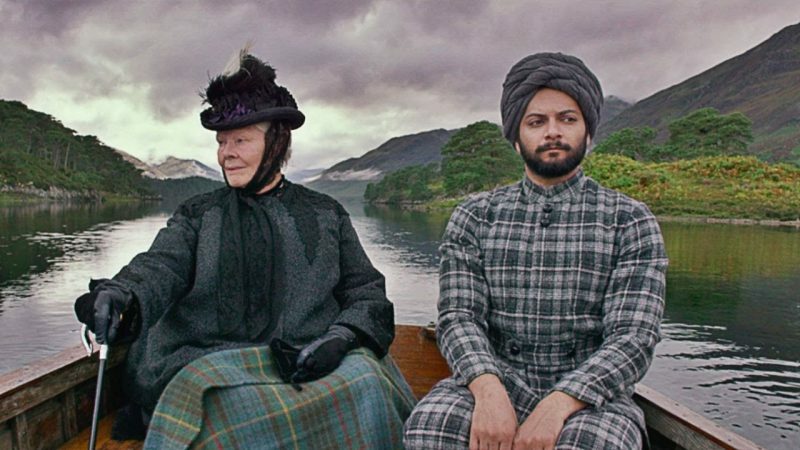 Victoria and Abdul tells the only recently discovered true story of Queen Victoria’s relationship with a working-class Indian man, Abdul Karim. Uncovered by the discovery of Karim’s journals in 2010, this film brings to light the charming and genuine bond between the two, against a backdrop of humorous household staff and some darker political machinations. Unfortunately, it is the very levity of the piece that is its downfall. I was as charmed as anyone by Abdul (Ali Fazal)’s wide-eyed wonder and his softly accented English. I was, of course, mesmerized by Dame Judi Dench’s wickedly sharp, vulnerable Victoria. The surprise casting of Eddie Izzard as Victoria’s scheming son Bertie worked wonderfully, and all the supporting cast did stellar jobs. The effect of this sweet, well0executed story, however, is to completely de-fang the brutal colonial history of the period, which is simply smoothed over and ignored. There is some attempt at presenting two sides of the Indian perspective on British rule — Abdul who is proud to serve their English oppressors, and his companion Mohammed (Adeel Akhtar) who tries to talk some sense into him. This token effort is played off as a joke, with Akhtar, albeit very skilfully, providing comic relief. Dench, as one would expect, brings the perfect mix of steel and sweetness to Victoria, whose relationship with Abdul reinvigorates her. The film leads the audience to view her as a hero. She is an aging monarch being pushed out by a conniving son, she is a mourning widow, a kindly old lady with a sharp tongue, she fights back against the “racialism” of her advisors who don’t take well to Abdul’s advancing position. The problem here is that she is absolved of the horrors that her administration wrought on India. The frivolity with which she tells Abdul “The Kohinoor? Oh, I’ve got that. I wear it as a brooch!”, and his total lack of response is offensive to watch. The subjugation and colonization of the Indian people, the vicious fight for independence — all that history which is impossible for the Indian subcontinent to ever forget, is glossed over by this colonialist fantasy of Indian servants happy to serve their British empress. The truth of the story between Victoria and Abdul is no excuse for the decision to frame it in this way. This year marks the 70th anniversary of Indian independence, and as such audiences have been inundated with documentaries and features and media of all kinds revisiting the horror of that period. The very quaintness of this story does a disservice to the struggles caused by the British in India. That being said, if this film had been about anything else, I would have declared it a complete success. Each emotional beat garnered a reaction from the audience, the surprising amount of humor got plenty of laughs, and the pacing of the story only lagged a little at the end of the second and third acts. It’s just a shame the whole thing ended up as an uncomfortable British colonial fantasy about a nation, represented by one man, that wanted to be subjugated and was proud to serve. Ultimately, if you can ignore that gaping mistake, the film is perfectly enjoyable… but not all of us have that luxury.